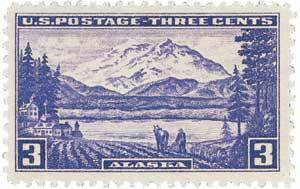 US #800 – pictures Denali (formerly Mount McKinley), the highest peak in North America. US #UN716-17 from the UN Offices in New York. 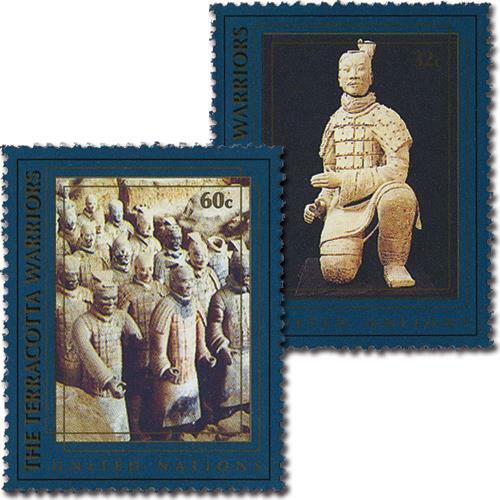 On March 29, 1974, the Terracotta Warriors were discovered. The collection of over 8,000 life-sized figures is the largest pottery figurine group found in China. The figures were created as part of the tomb of Qin Shi Huang, the first emperor of China. As a form of funerary art, they were buried with the emperor around 210-209 BCE and believed to protect him in the afterlife. 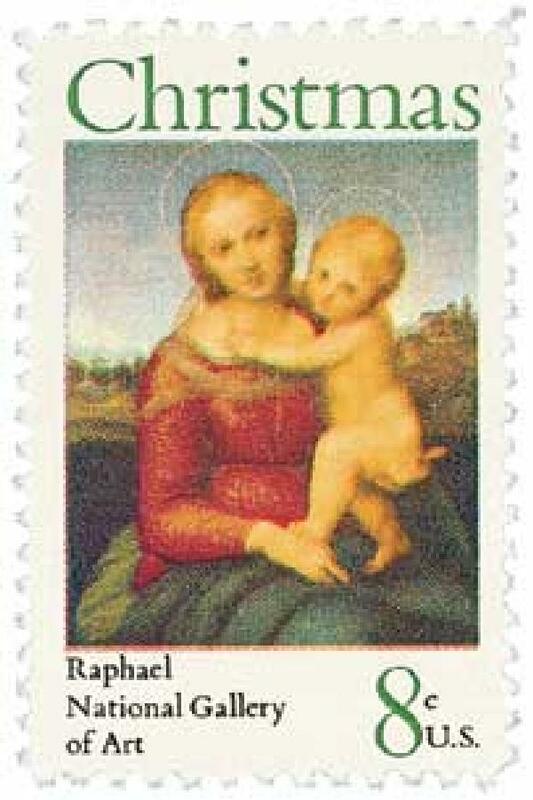 US #1507 pictures Raphael’s The Small Cowper Madonna. Click image to order. Raffaello Sanzio da Urbino, better known as Raphael, is believed to have been born on either March 28 or April 6, 1483, in Urbino, Duchy of Urbino. Raphael was the son of Giovanni Santi, court painter to the Duke of Urbino. As a child, Raphael spent a great deal of time in the court, which instilled in him excellent manners and social skills. US #1683 was issued for the 100th anniversary of Bell’s first phone call on March 10, 1876. Click image to order. On March 27, 1884, the first long-distance phone call between New York and Boston was made. 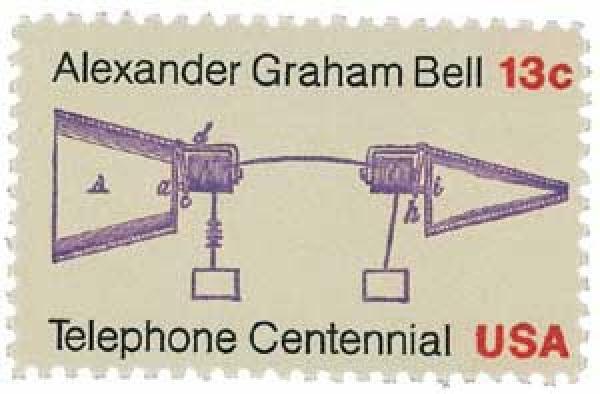 In March 1876, Alexander Graham Bell received the patent for his telephone and made his first phone call just three days later. That June, he presented his invention at the Centennial Exposition in Philadelphia which gained the attention of the press, who in turn shared news of the telephone with the public. 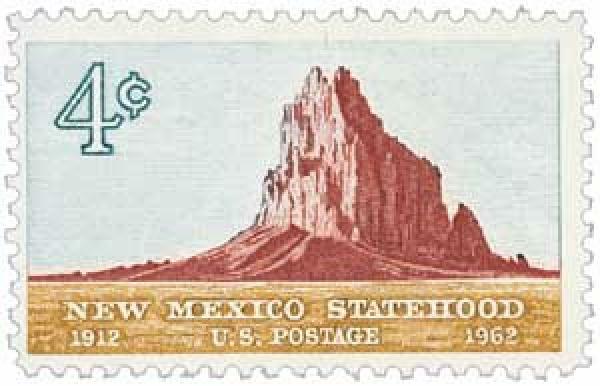 US #1191 was issued for the 50th anniversary of New Mexico statehood. Click image to order. On March 26, 1862, Confederate forces launched the Battle of Glorieta Pass, aimed at breaking Union control of the West along the base of the Rocky Mountains. In the early months of 1862, a portion of the Confederate Army set its sights on the vast western territories. Control of the Santa Fe Trail in Colorado Territory provided access to silver and gold mines and opened the way to California’s ports. This would provide a supply line to the Confederacy since the Union blockade had closed Southern ports on the East Coast. US #4873 from the American Landmarks series. Click image to order. On March 25, 1961, Elvis Presley led a benefit concert to raise funds for the USS Arizona Memorial that helped to reinvigorate fundraising for the project. 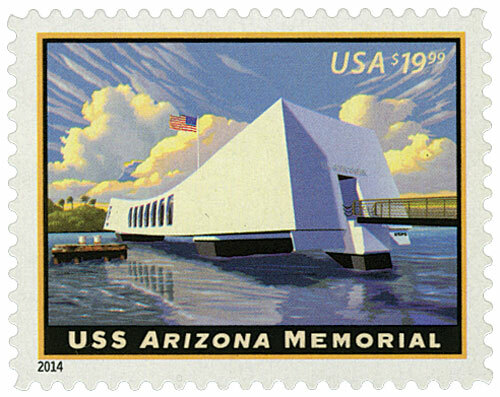 Twenty years earlier, the Arizona was sunk during the devastating attack on Pearl Harbor that had sprung America into World War II. The Arizona lost 1,177 of its crew – about half the lives lost that day.